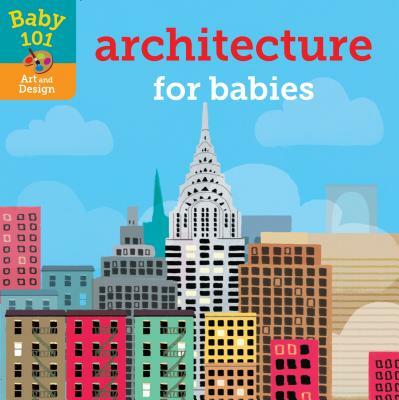 It's never too early to get an A+ in architecture! Here's a fun new board book series that introduces a wide array of nonfiction subjects to babies and toddlers. Welcome to Baby 101, where big subjects are tailored for little babies. Featuring simple words and bright and engaging illustrations, this introduction to architecture includes information about how buildings are made, featuring famous sites like the Colosseum, the Taj Mahal, and the pyramids. So don't be late, because this is one class that babies won't want to miss. Look for the surprise lift-the-flap ending! Also available in the Baby 101 series: Botany for Babies, Zoology for Babies, Anatomy for Babies. JONATHAN LITTON has written numerous children's books. He loves using his science background to write about sea creatures, space, and saving the planet, but is also fond of penning stories about pirates, princesses, and picnics. When not writing, he can usually be found on his bike. THOMAS ELLIOTT is a children's book illustrator and art director based in London, England.